Urbanleagueupstate.org has been registered for 5 years. It is ranked #9,811,755 in the world. Its server is hosted in Provo, United States and the address of the server is 74.220.215.209. Which search keywords send traffic to Urbanleagueupstate.org website? From the chart below, you will know that there are a lot of visitors to this site by searching the keyword "urban league", about 95.43% visitors per day. Where is Urbanleagueupstate.org website's server located? This site has 1 server, the server is located in Provo, United States. From Mar 26, 2014 till now, we detected 2 times on Urbanleagueupstate.org website. we found that this site has an average of 15 backlinks. Recently the site was detected on Aug 30, 2016, there are about 25 backlinks were found. 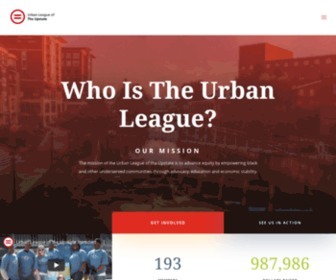 What websites are similar to Urbanleagueupstate.org website? The websites below are similar to it. This is the domain name information about Urbanleagueupstate.org. With this information, you will know that it has been registered for 5 years, will expire on 5 Feb 2026, was registered on the website godaddy.com, etc.